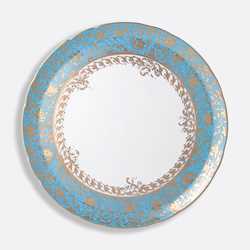 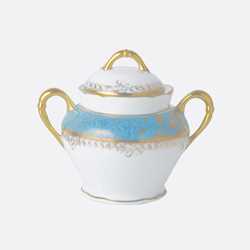 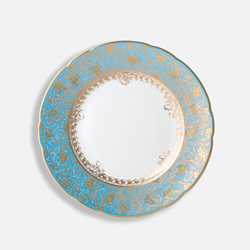 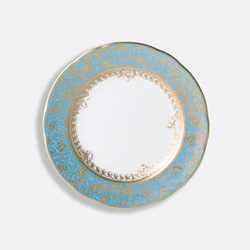 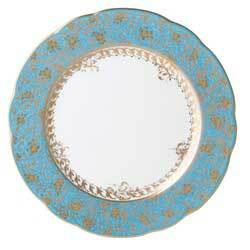 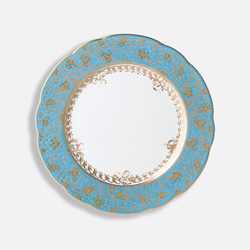 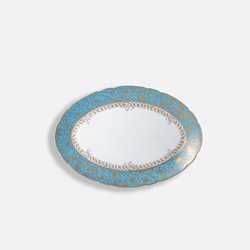 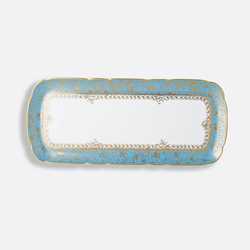 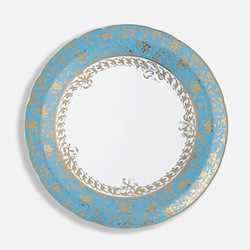 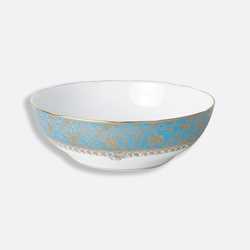 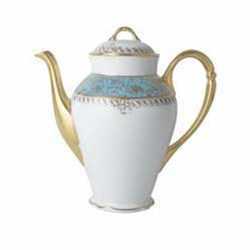 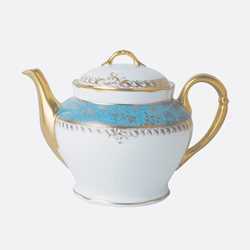 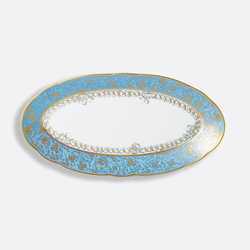 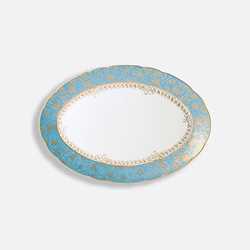 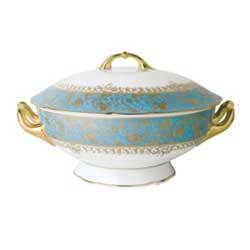 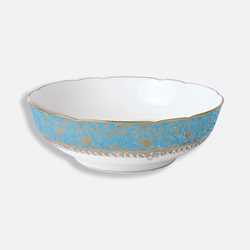 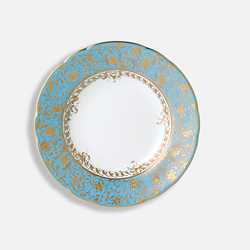 Bernardaud Eden Turquoise is inspired by the flamboyant designs of the 19th century. 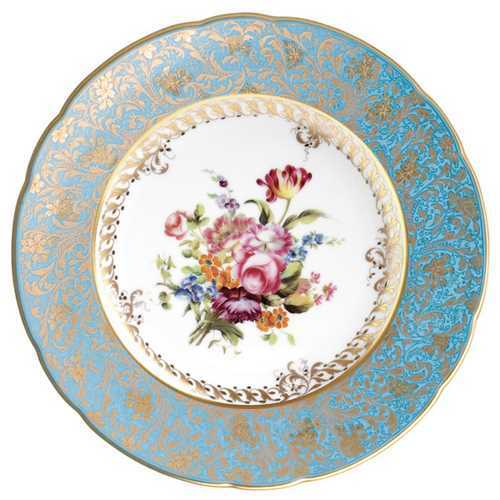 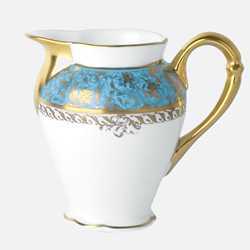 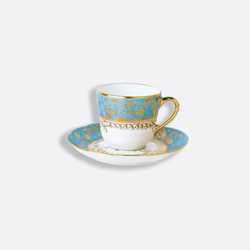 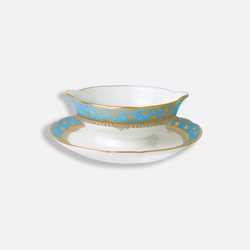 Both refined and sophisticated, this Limoges porcelain dinnerware service is a remarkable reproduction that captures the beauty of engraved gold work. 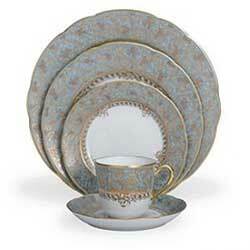 Includes dinner, salad, bread & butter, tall coffee cup & saucer.